It’s a little ridiculous at this point. I know I’m preaching to the choir. It seems like the entire country is fallen ill: colds, flu, fevers, bronchitis … you name it. 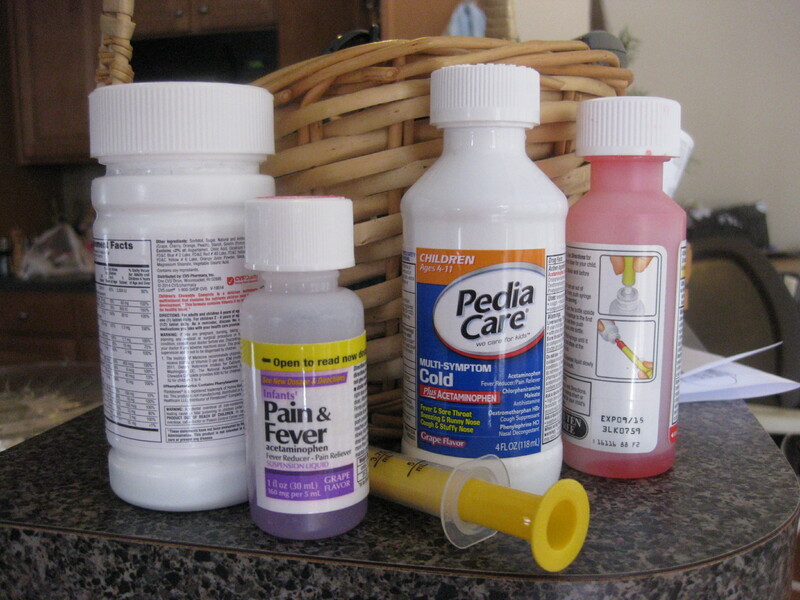 I currently own four bottles of children’s cold meds (with acetaminophen and without, nighttime and daytime formulas), at least a pair of acetaminophen and ibuprofen bottles for both kiddos, and I’m pretty sure I now own stock in Kleenex. And Puffs. Waaa!! This is not a paid advertisement. Pinky swear. The sickness entered our house in September, when school started up for Max. (He’s there five days a week, so he gets maximum germ exposure I guess.) One or both children have been sick since then, with no more than a one-week break between viruses. I don’t exaggerate (I say that only because as a writer, I tend to exaggerate). We canceled a Thanksgiving trip to Ohio because of fever and colds (first Max, then Andy). Max spent Christmas with a fever and cold. We rescheduled our trip for New Year’s—and as Max got over his week-long fever, Andy picked it up. My mom came to visit instead and we celebrated Christmas and rang in the New Year in VA.
At the end of January, we were supposed to leave Virginia and head to Ohio for my mom’s birthday. And … Andy ended up with a sinus infection. Technically, he never really got over his NYE cold, it just morphed into the need for a ten day stint on Amoxicillin. Next week I’m attempting a Valentine’s Day trip to Ohio. I supposed I’m playing with the Universe at this point (historically, NTG and I have not spent many V-Days together). My sister isn’t returning my calls because she totally doesn’t believe we’re coming. I’m going for it anyway. But what to do to stave off future sickness? We all know washing hands. Vitamins. But what else? Essential oils? Rubber gloves? OJ every day? I’m at my wits end, and ready to send Max to school with a face mask on. I’m not kidding. It doesn’t help that in an ASD household, staving off colds has other challenges. I cannot explain to Max how to not touch his face or exchange fluids with other classmates, because the kid still sticks his fingers up his nose on a regular basis, and stims near his face daily. And he has sensory issues when it comes to water, so I don’t think they get him to wash his hands at school often, and here, he flat out refuses (I wipe, and hand sanitize a lot). I have tricked him into gummy bear vitamins—and I know lots of folks freak out about dyes and such, but I have to think of the trade off.